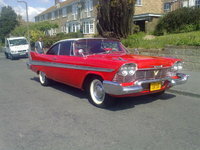 Have you driven a 1958 Plymouth Fury? 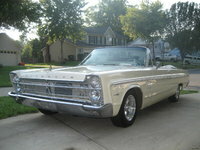 Displaying all 4 1958 Plymouth Fury reviews. Sound And Fury — It was funny looking, check 1958 Fury on internet. The gas mileage was 6 to 8 mpg! And that was factory same as period tests. I got it cheap in 1965 ($125) With most of the upper engine in the trunk, it looked like a beige "Christine" but with a couple of hundred bucks and and lot of labor, it was running and quite fast. High 14's and would surprise stock GTO's with automatics. I found college and gas mileage forced me to let it go. One more I wish I could have kept. Looking for a Used Fury in your area? CarGurus has 23 nationwide Fury listings and the tools to find you a great deal. 1958 Plymouth Station Wagon — Another of my Dad's cars which I drove during my "lear. ning to drive" years. We drove this car all over the western U.S. on many vacations: Yellowstone, World's Fair in Seattle, etc. in addition to many trips to the Malibu, Zuma, Santa Monica beaches. Cons: Had to wait about 5 minutes for the radio to warm up before we started to get music on KRLA. Room For Plenty Of Kids & Surfboards — 1958 Plymouth Station Wagon Another of my Dad's cars which I drove during my "learning to drive" years. We drove this car all over the western U.S. on many vacations: Yellowstone, World's Fair in Seattle, etc. in addition to many trips to the Malibu, Zuma, Santa Monica beaches. I have owned my 58 Fury for 40 years and 2 others before it. I have driven it as far as from Texas to Calif. and have logged over 30,000 miles in it. These are amazing driving and handling vehicles for their time(the Torsion bar Suspension and heavy duty springs and shocks were rated as superior by all car magazines) as well as fast (0-60 MPH in. 7.7 seconds Motor trend). Their styling and luxury for a low priced car is exceptional. The negative is poor seat comfort and shortage of Fury specific trim parts. Power Ranked 1958 Ford Fairlane Sedan worse. "Motor Trend Jan. 58 tested the Fury, Fairlane 500 and Impala all with the top engines and the Fury was the fastest in all categories inc. 0-60, passing times, quarter mile and top speed. Also check Hot Rod & Sports Car Illustrated. " Handling Ranked 1958 Ford Fairlane Sedan worse. 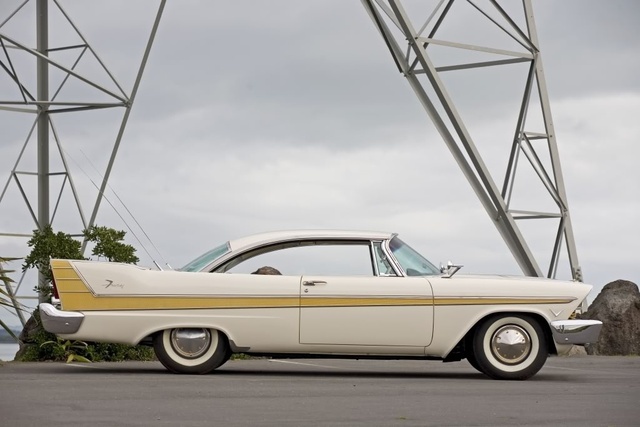 "The Fairlane 500 Skyliner like all 58 Ford Motor cars and GM cars (with exception of the Corvette) were all very softly sprung for a very soft ride which resulted in poor cornering ability, much lean and heal over as well as poor ride control at high speeds." Looks/Style Ranked 1958 Ford Fairlane Sedan worse. "The styling genius of Virgil Exner who styled all Chrysler Corp. cars inc. the Fury was considered by most to have designed the most beautiful, clean designs of his time, they still look modern today." Front Seats Ranked 1958 Ford Fairlane Sedan worse. "The Fury seats were a little thicker with just slightly more padding but neither car is very comfortable for a long trip like from Texas to California." Back Seats Ranked 1958 Ford Fairlane Sedan worse. 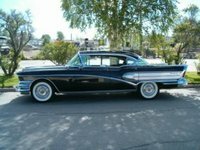 "The Ford Skyliner rear seat was much more erect and the hip room and bottom seat cushion was much more narrow to acomodate the retractable roof." Cargo Capacity Ranked 1958 Ford Fairlane Sedan worse. "The Ford Skyliner roof retracted into the trunk leaving only a small basket area for luggage when the top was down." Value Ranked 1958 Ford Fairlane Sedan worse. "The Fury is just more fun to drive and today commands a higher value in most collector car value guides than the Ford." Would Buy Ranked 1958 Ford Fairlane Sedan worse. "First of all I like both cars but for different reasons. The Plymouth Fury is my favorite because of the outstanding ride and handling characteristics, its fun to drive as well as its extraordinary styling & luxurious interior not to forget it being one of the fastest cars in 1958(see Motor Trend and Sports Car Illustrated for 1958). The Ford shines in top-down fun, innovation and is an overall good car but not the drivers car the Fury is."